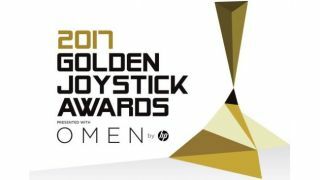 Update: The Golden Joystick Awards presented with OMEN by HP are taking place today! Make sure you tune into the livestream which begins at 3.15pm GMT / 7.15am PT on the official Twitch channel. The Golden Joystick Awards are fast approaching, with the big night taking place on Friday November 17 in London. Presented with OMEN by HP, these awards will be hosted by Danny Wallace (whose voice you may recognize from games such as Assassin’s Creed and Thomas Was Not Alone) while Ellie Gibson (Go 8Bit) and Kotaku UK's Keza MacDonald will host the pre-show. With its excellent hosts and a range of guests that will include PUBG’s Brendan Greene, Friday the 13th’s Chuck Brungardt, Flavourworks’ Jack Attridge and YouTube personality Ellen from Outside, the pre-show is sure to be worth watching. Fortunately, that’ll be easy to do – the pre-show has its very own livestream which will begin at 3.15pm GMT / 7.15am PT. To make things even better, those who tune into the livestream will have the chance to win prizes. Interested in a chance at winning an OMEN by HP gaming laptop with MSI Motherboard Bundle? Simply watch on the day for more information. Join in on the fun at the 35th Golden Joystick Awards presented with OMEN by HP on November 17 via the show’s official Twitch channel.